Professional landlords come in all shapes and sizes and it’s fair to say that not all buy to let property businesses are the same. Remember this, the term ‘commercial property rental sector’ is a comprehensive term and covers all types of general and niche property businesses. Can you, when push comes to shove, identify where the core business of your property business lies? Before you can choose the right letting agent software package you will need to identify this and have a clear understanding of what you and your business are about. 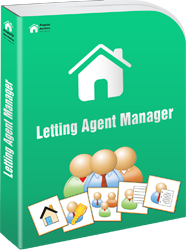 Type ‘letting agents software’ into any search engine and you will quickly see that there are a lot of products out there. So, how on earth do you choose? Turn off the computer for now and think about how you run your business, how it works and what information you need to manage and grow your buy to let property business. Do not be tempted to go for a ‘one size fits all’ type of residential lettings software product and don’t pick a niche product that is not suited to your business type and style. Do a personal audit. Write down all the features you need which you believe are indispensable and makes you feel that you cannot run your business without. Then make a separate list of features you would like to see in the product you choose. Only then, should you start to research products. Do not underestimate the value of personal recommendations and talk to your fellow landlords about the pros and cons of the software for letting agent packages that they are using. If you see a few shortlisted products in action at trade fares or demonstrations look for independent and objective reviews too. If you choose a good lettings software product and use it to its full potential you can save time and increase profit but conversely, be warned, choosing the wrong software package can hit you where it hurts, in your bottom line. Professional landlords face three challenges and these are managing time, controlling money and solving problems. Good software should help you in all these three areas. Time management: Good Letting Management Software will speed up your accounting processes. Once keyed in the data will be stored and made available to you in order to create reports and even to plan out cash flow management in future. Cash flow: Good lettings software can help you to monitor financial commitments, expenditure and income. Solving Problems: With time management and control over cash flow, your problems will be solved easily. Unfortunately, no matter how thoroughly you monitor and prepare business reports, things can still go wrong. Good property software will allow you to spot potential problems and to deal with them effectively before they can negatively affect your business. Without doubt, it is easier to keep track of defaulting tenants with property software. With it, you can ensure they are given the correct notices and warnings. You will be able to show the authorities and the courts that you have showed diligence in this area. This way, you will not be at fault as you have made timely reminders to them about their rental payment.